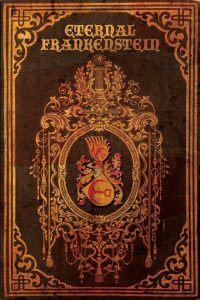 I’m a storyteller in prose, comics and journalism whose passion is delving into the whimsical and bitter truths of reality through the lens of the Weird, horror, magical realism and spec-lit. My debut story collection, Sleeping with the Monster, is available from Lethe Press. Order it directly from Lethe here. Order it from Amazon here. Order it from Barnes & Noble here. Check out the Goodreads page here. Or follow me on Twitter here. Twelve women. Twelve horrors disguised as love. 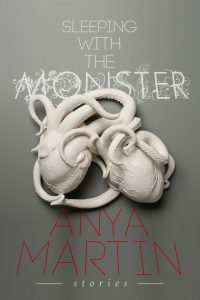 In Anya Martin’s new collection of horror tales: a teenage girl faces the consequences of wishing her dog could live forever; a romantic college student wakes a gargoyle in Paris; and a lonely woman finds her house infested with insects. History’s darker depths are delved as an American jazz singer confronts her lover who has committed terrible war crimes as he descends into madness in post-WW2 Germany; and a couple experiences H.P. Lovecraft’s Resonator machine via found footage from the Velvet Underground. In the publisher’s favorite tale: Actress Elsa Lanchester reveals the true story of Bride of Frankenstein involving the preserved brain of Karl Marx’s daughter in 1923 London. 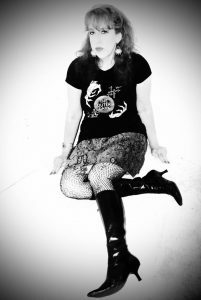 I’m also blogeress-in-chief of ATLRetro.com and producer of The Outer Dark podcast on This Is Horror. On this Website, you’ll find the latest news about my publications and adventures in the literary world. To learn more about me and my works – both past and future, read my bio on the About page and check out the Bibliography and Press page of this Website. And there’s a special section just for “A Stuffed Bunny in Doll-Land,” the dark graphic toy story which I co-created with Spanish artist Mado Peña for Womanthology: Heroic. 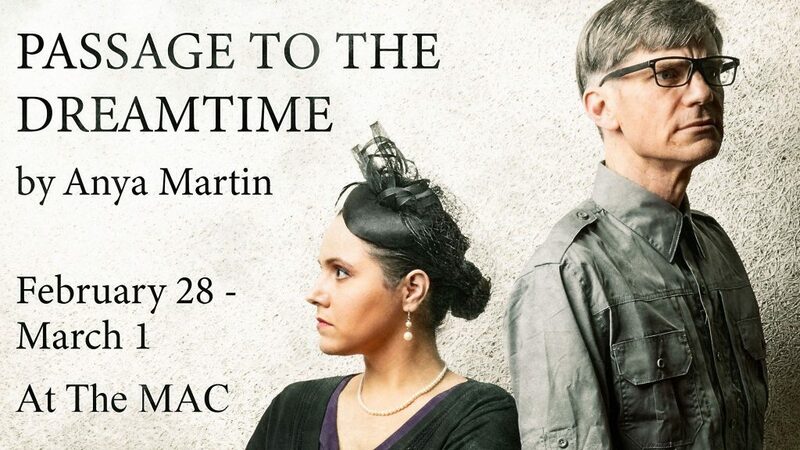 Phoenix Creative Collective will be performing dramatic readings of my play Passage to the Dreamtime Feb. 28 and March 1. at the Merced Multicultural Arts Center in Merced, California. More info and ticket link here. 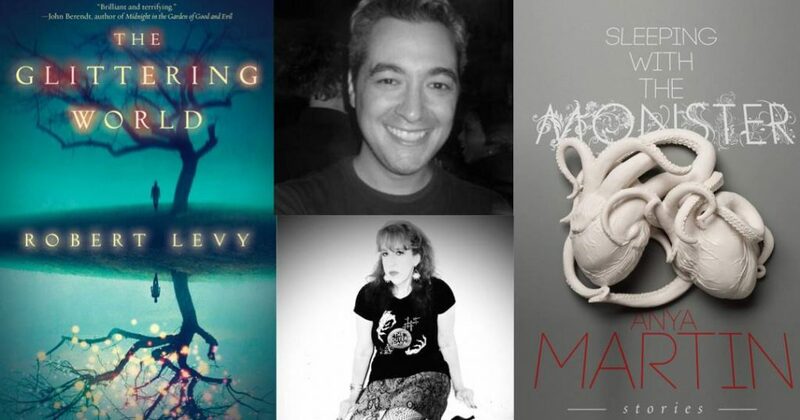 I’ll also be reading from Sleeping With the Monster and doing a Q&A with Nick Mamatas on Sun. Feb. 24 from 6:30-8 pm at The American Bookbinders Museum as part of the SF in SF Events series. My debut story collection, Sleeping with the Monster, is now available from Lethe Press here. Please come celebrate with me at my Atlanta Book Launch Party on Tuesday Nov. 13 at 7 p.m. at Eagle Eye Book Shop. Details here. Plus ArtsATL.com posted an interview with me here. I also attended World Fantasy Convention in Baltimore, MD (Nov. 1-4, 2018), and I will be scheduling more readings and signings on the east and west coasts, and I’ll post these on my Appearances page as they are confirmed, so please check back! Thank you, Daniel Braum, for inviting me to read in his Night Time Logic series at KGB Bar in Manhattan on September 23 with the wonderful Robert Levy! Proud and humbled to be included with such an amazing group of women in Gwendolyn Kiste‘s Women in Horror Month roundtable. The first part is online here. 2017 Publications and other news: Passage to the Dreamtime is now available from Dunhams Manor Playhouse here. Kim Bo Yung‘s illustrations for it will always floor me. Upcoming stories: “Boisea Trivittata,” Looming Low, Vol. 1 , edited by Sam Cowan and Justin Steele, Dim Shores (Release with mass author reading and signing at NecronomiCon Providence, August 17-20); “Weegee, Weegee, Tell Me Do,” Tales from a Talking Board, edited by Ross Lockhart, Word Horde (October); “Surrender” (flash fiction), Bands My Exes Ruined, Zine Trilogy, Ladybox Books (TBA). Check my Bibliography for order/preorder info and Appearances to catch me at an upcoming con or signing/reading. 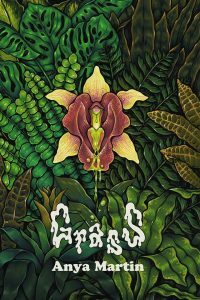 Dim Shores published my novella “Grass” as a chapbook with illustrations by the incredible Jeanne D’Angelo. Limited to 150 copies. Sold out but more info available here. Thanks, Sam Cowan! My short story, “Black Stone Roses and Granite Gazanias,” has been published in the Summer 2016 of Mantid Magazine. Direct link to my story here. Print copies available September 15, Thanks, Farah Rose! My novelette “The Un-Bride, or No Gods and Marxists” has been accepted by editor Ross E. Lockhart for Eternal Frankenstein (Word Horde), forthcoming in October 2016. 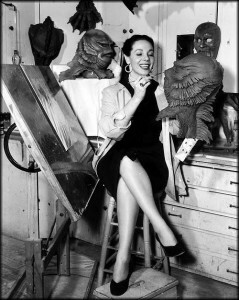 The lead character is Elsa Lanchester, and it’s set before the filming of James Whale‘s Bride of Frankenstein. Preorder here. And read the Publisher’s Weekly review which includes a call-out to my tale right at its start here. My short story, “Window,” has been accepted by editor Thomas F. Monteleone for Borderlands 6 (Hardcover, Borderlands Press/ trade paperback Samhain), forthcoming in 2016. 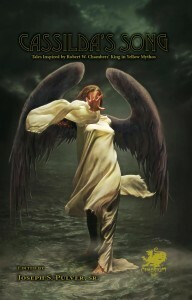 Word Horde interviewed me about “The Prince of Lyghes” in Cthulhu Fhtagn! and other stories. Check it out here. I’ll be at World Fantasy Convention, Nov. 5-8 in Saratoga Springs, NY. Come to my reading Fri. Nov. 6 at 10 a.m., and I’ll be participating in the Mass Author Signing at 8 p.m. On Sat. Nov. 7 at 3 p.m., I’ll be on the panel Old Weird, New Weird, or Just Plain Weird. For locations and details, check the Appearances page on this site. Listen to the panel I moderated about The New Weird at NecronomiCon Providence on a special episode of Scott Nicolay‘s The Outer Dark podcast on Project iRadio here. 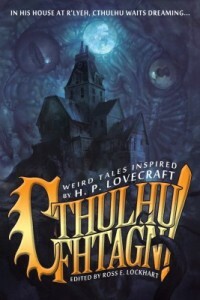 My story “The Prince of Lyghes” has been accepted for Cthulhu Fhtagn!, an anthology edited by Ross Lockhart for Word Horde Press and due for release in late summer at Necronomicon (Aug20-23) in Providence, RI. Preorder here. My story “Old Tsah-Hov” has been accepted for Cassilda’s Song, an anthology of stories by women writers inspired by Robert W. Chambers‘ The King in Yellow, edited by Joseph S. Pulver, Sr., for Chaosium and due for release also at Necronomicon. A bit shell-shocked that “Sensoria” got a mention in Publisher’s Weekly in a rave review for Giallo Fantastique, also edited by Ross Lockhart for Word Horde Press. Also some nice words in Hellnotes here and The Life Sentence here. and read an interview with me about “Sensoria” at MyBookishWays.com here. Giallo Fantastique was released in May, and you can order it here. Resonator is out! It includes my story “Resonator Superstar!” and was edited by Scott R. Jones for Martian Migraine Press. Amazon order link here. 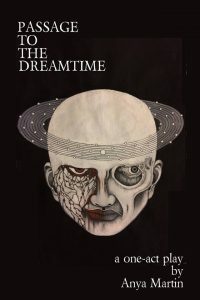 My play Passage to the Dreamtime will be published as a limited edition chapbook, illustrated by the astounding Kim Bo Yung (release date TBA), and my story “A Girl and Her Dog” will appear in issue #2 of the new and highly anticipated weird fiction magazine Xynobis out in December 2015. Both are published by Jordan Krall‘s Dunhams Manor Press . AStuffedBunnyInDollLand.com is live. Learn the back story about the genesis of the acclaimed Womathology:Heroic short graphic story, read the script and see preliminary sketches and pencils. But most of all get ready! “A Stuffed Bunny in Doll-Land” was just the beginning of the adventures of Munny and Elephant in the sometimes hauntingly beautiful, sometimes wickedly whimsical, sometimes dark and terrifying world of Dolls. Mado and I have plans for a longer sequel that will take our stuffed heroes and new friends even deeper into the dark and scary world of dolls.